Many people assume that all gamers need are strong machines: impressive software and graphics cards that will improve the experience of gaming. However, this is not all there is to gaming and the experience that gamers want to have. 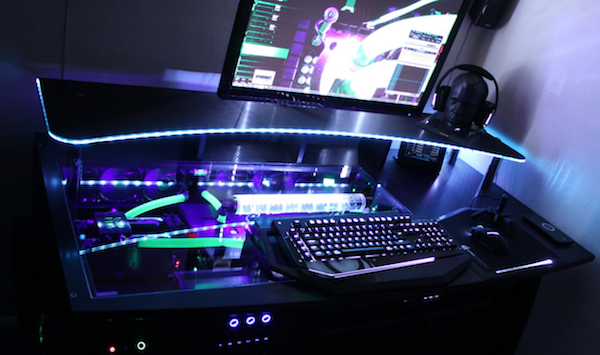 In addition to impressive specifications, gamers also like to have setups that are out of this world. If you have an impressive setup then you do not have to invite someone over to play. They automatically come over once they see the display. But what makes a great gaming display? Gaming is all about what you see on the screen. Monitors and screens have to have impressive graphic cards and resolution quality. However, the size of the monitor also matters. The bigger the screens you use, the more dramatic the experience. Sometimes getting just one big screen is not enough because the size contributes to the lowering of the pixel density which then interferes with the crispness of the images. Instead, gamers use dual monitors or more, to get some additional emotions. Just check out run 3 unblocked. This helps to not only make the display bigger, but it also makes use of the gamers’ peripheral view, depending on how the screens are arranged. You could have great screens and features but you also want to be assured of your safety and the safety of your equipment. This means that all wires must be in the right place, away from where people are walking. Having a cluster of wires on the floor is not a good view. Instead, sticking or affixing the wires to the wall or below the desk or even under the carpet on the floor is a good feature of a great gaming display. This gaming display is very intriguing. 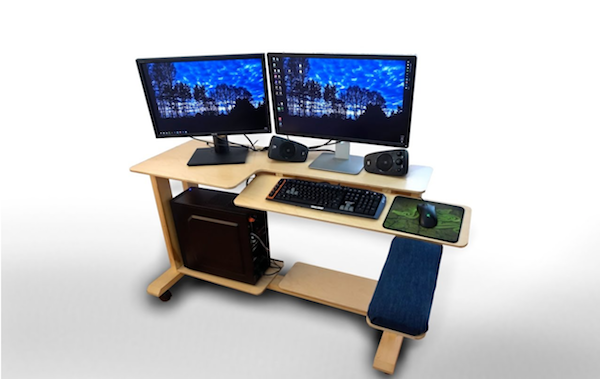 It features the computer’s components integrated into a desk. What the designer did was to craft a desk, cut and rearrange the parts to make a processor cooler. Each of the computer’s elements such as the processor, cooler and hard drive fit perfectly into the space.Â The wires are fixed at the bottom of the desk and the monitors are on top of the desk. This presents a clean finish. This design is simple and minimalist. It is a small desk that is crafted out of a metal frame. The desk has a custom wooden top. All the computers components are placed in the desk drawers for ease of access. This makes it easy to change out anything that might need changing without having to dismantle the whole workstation. 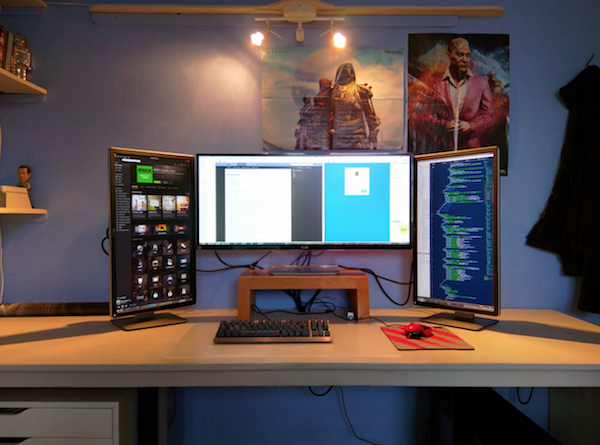 The 44-inch Dell monitor is mounted on the wall. The wires are fixed at the bottom of the desk to achieve a clean finish. This design is simple and impressive. LinusTechTips provides gamers with the most comfortable gaming setup. This is a gaming room that is created by mounting a 4k curved Samsung television on a wall. The wires from the television are hidden using PVC pipe. The rest of the gaming parts are mounted on other walls with the wires arranged in such a way that looks like a patterned achieving a clean finish. It is elegantly done. The room’s clean finish is complemented by the large pillow. The set up is easy to change depending on one’s needs and the space that they have. 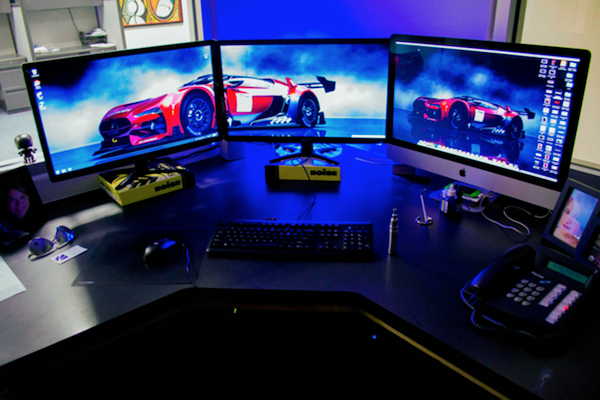 Yazeed has an Acer curved monitor overhead, an addition to the Asus monitors that he already had in his famous black and red setup featuring a three-monitor scheme. There are Xbox One and PlayStation 4 skins on the controllers. These skins match with the color scheme making the display very attractive. The graphics card, Rams and cables have been painted purple to match the setup. This setup comprises of a specially made MDF desk. It is black and has a glass lid. The set up features illuminated top components which are inside and thus make everything look so much better. The color scheme for the LED illuminating is Red, green and blue. This lighting is modded to follow the water flow whose work is too cool the entire computer. To top it all off, the 43-inch 4K display is the gamers’ dream. It puts the bow on this display. Some of the other awesome gaming displays that you can look into include: the water cooled PC in a desk by InFaceRoll, the red liquid cooled desk by Peter Brands, the gaming room in teal by UrAvgConsumer and Unbox Therapy’s gaming system that includes three huge monitors. There are numerous gaming displays to choose from but these are some of the best in the industry. The good thing about gaming displays is that you can fabricate one of your own to suit the needs you want to be met. If you prefer smaller monitors, you have the option to get those. Also read: Online Gambling with Goldenslot. 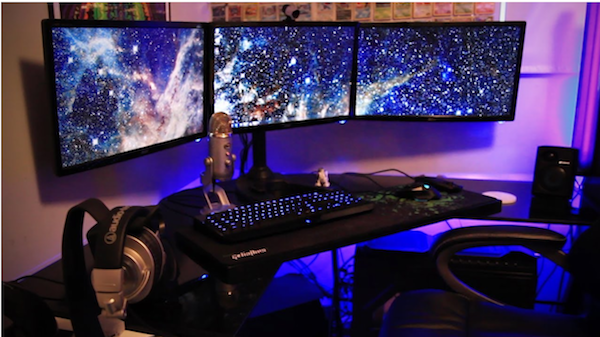 This entry was posted in Gaming, Technology and tagged 10 Gaming Setups That Will Drop Your Jaw. Bookmark the permalink.